I hate putting spoilers into reviews but it is hard for me to get my point across with this one without some spoilers. J.J. Abrams said a long time ago that he wanted to create an American version of Godzilla. So he put out Cloverfield in 2008. If Abrams had immediately put out something new to keep the Cloverfield idea going, he might have succeeded in his dream of an American Godzilla. But when he waited eight years to put out 10 Cloverfield Lane and then 10 years for The Cloverfield Paradox, he killed his own momentum. Right now, you can only see The Cloverfield Paradox on Netflix. For years, movie industry insiders have been saying that theatrical releases will be a thing of the past and releasing movies online will be the thing to do. If this is how they plan on doing it, then I think theaters are safe for a while. Netflix has been putting out a lot of movies lately with the quality being hit or miss. The Cloverfield Paradox is a sort of miss, but only because J.J. Abrams never thought his story line through when he started. The three Cloverfield movies are supposed to be connected, but there is absolutely no indication in this new movie that 10 Cloverfield Lane has anything to do with the story Abrams is trying to tell. It was obvious almost from the beginning that Abrams did not really think the whole Cloverfield thing through and that he is making this up as he goes along. 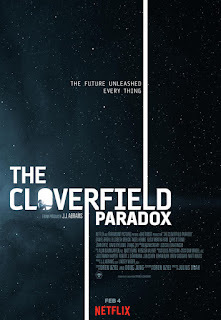 Case in point: The Cloverfield Paradox is supposed to take place in 2008 yet everyone has smartphones and tablets. Also, all of the high tech mentioned in this movie that is supposed to be critically important to the survival of the planet was never mentioned in Cloverfield. 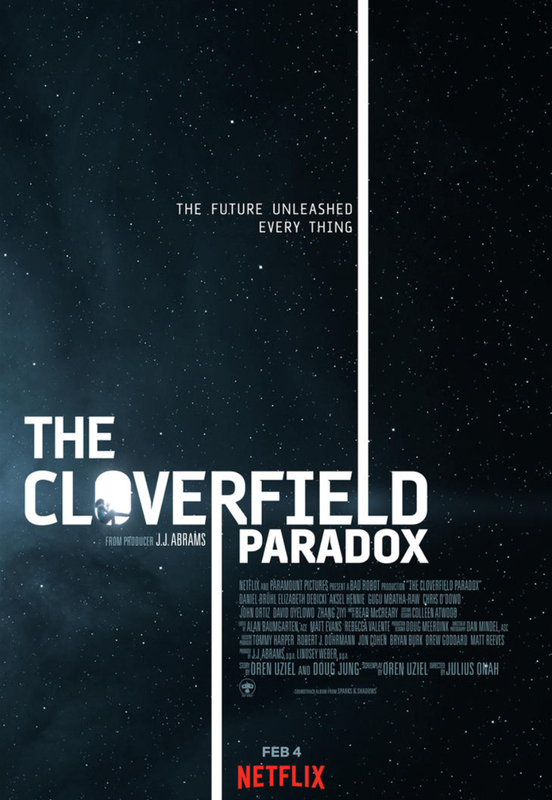 In The Cloverfield Paradox, the Earth is overcrowded and dying. In Cloverfield, there is no mention of this even though it seems pretty widespread in the Paradox. As a stand-alone movie, The Cloverfield Paradox is actually not bad. I read comments online from viewers before I watched the movie and I don't understand what everyone is confused about. The movie explains itself step-by-step and it is not until Abrams tries to cram this story into the Cloverfield universe that it makes no sense at all. As with the other two movies, Abrams would have been better served taking out any reference to the weak and fractured Cloverfield story line and just making those movies stand on their own. There are a ton of unanswered questions raised by this new movie. For example, why are people in the movie referring to the Cloverfield paradox as a thing with no explanation? The movie never explains where the big monster comes from, yet an adult Cloverfield monster appears at the end of the movie. If we are to believe the scale Abrams is using, then the adult Cloverfield monster (we know it is an adult because of its huge teeth that the original monster did not have) is nearly 1,000 feet tall. Abrams wanted to create his own Godzilla-like universe but he blew it. He did not plan anything out for the sake of consistency, and his Cloverfield movies are entirely too focused on the human stories. Once again, this is a monster movie with no monster. When the monster does appear, we have no idea why. Instead of explaining everything and making the trilogy unified, this movie only serves to make everything more confusing. 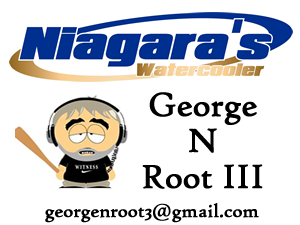 George N Root III loves the movies. Follow him on Twitter @georgenroot3, or send him a message at georgenroot3@gmail.com.